Track your food with just a few taps! We've made it easier to search, save, and log your meals. 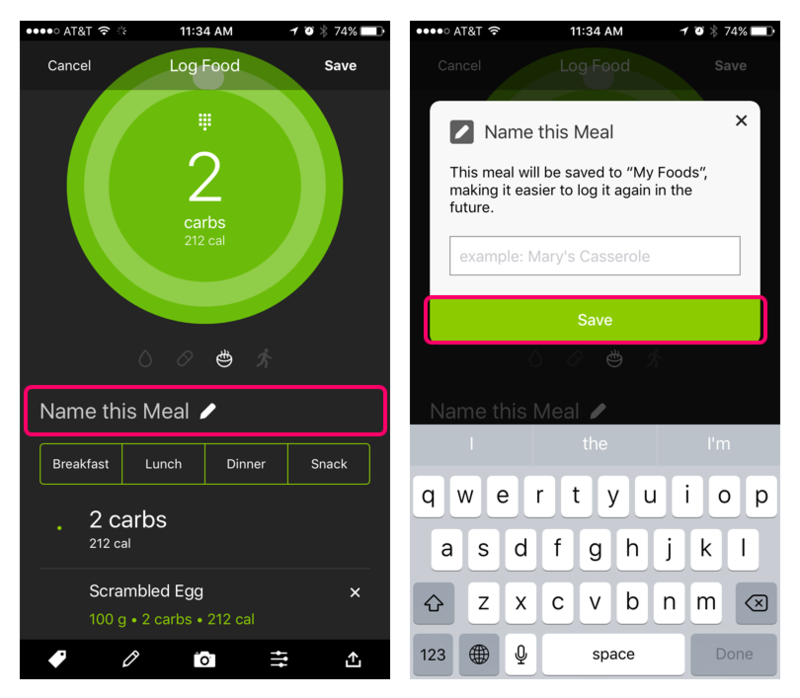 The latest version of One Drop | Mobile makes food logging a breeze! 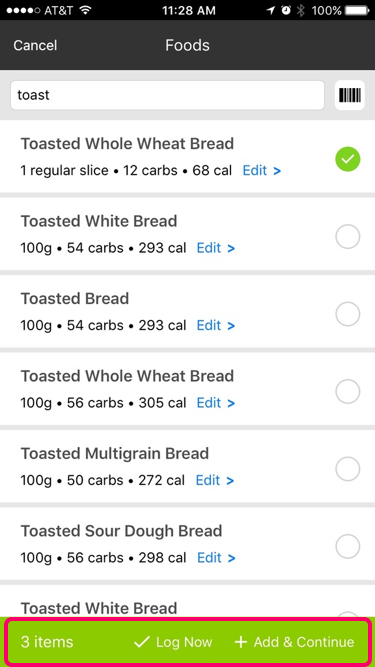 You can now categorize meals by meal type (breakfast, lunch, dinner or snack), easily search the food library, add foods/recipes from your Saved Foods, and sort all your saved foods/recipes. Read on for more details! 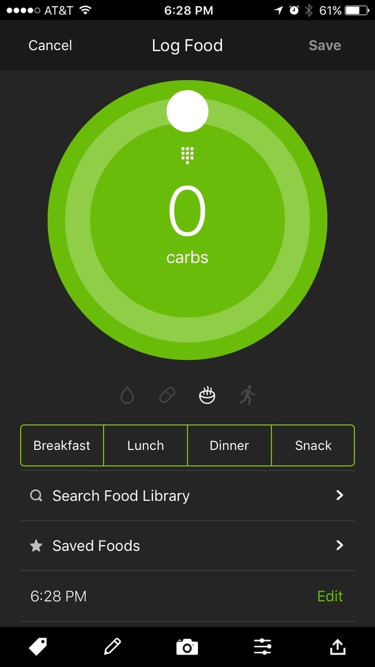 In the food logging screen, tap on "Saved Foods." Your Saved Foods can be sorted by recently logged meals, name of food (alphabetic order) or meal group. We have also made it easier to select and log meals in the food library. 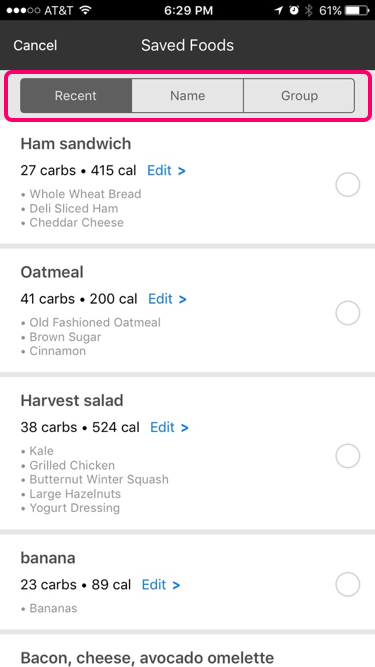 Search and add items to a meal, then choose to "Log Now" to log right away or "Add & Continue" to continue adding more foods. To add a meal to "My Foods" from the food library, enter all components of the meal and then select "Add & Continue". Then enter the name of the meal below the dial and save. And that's it! Now you're a food logging pro. Still have questions? Drop us a comment below and we'll get back to you ASAP.